Waiting or change. Which one do you prefer? Waiting. It's not a thing that most of us feel inspired by. And then, there's change. As much as I don't like to wait, change is also something that often makes me cringe. Just as I was getting comfortable with waiting, change knocked on my door. I'm at the end of a waiting season in my life. My life has gone from waiting to be able to settle down and buy a house for my daughter and I to that dream finally becoming a reality. This week I'll officially be a homeowner of a little cottage in Nashville. We'll pack up our Denver flat to move across the country. This is move #24-ish for me and move #6 for my daughter. We've moved between countries, apartments, and now states together. I thought Denver was going to be our forever home, so we really put down roots here. I downloaded the Zillow app, got a legit realtor, went to house openings, created my dream boards and waited for the perfect opportunity. But the doors kept closing on my dream of owning a house in Denver. 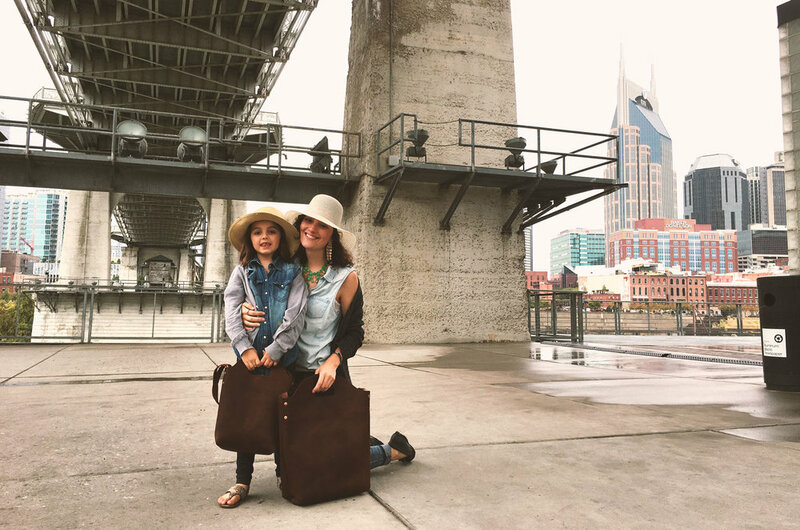 Earlier this year, the doors began opening for my daughter and I to move to Tennessee. So now we're leaving and it feels sad yet exciting at the same time. Right now I’m sitting in the back seat of my car with my laptop open, tapping away at the keys. My sister is driving my car with the music turned up to her favorite 1970s tracks. This week life feels like jumping out of a plane without having any idea how the parachute works but having the faith that I'll be able to figure it out in the air before I fall all the way down to the ground. And even though I sometimes feel trapped in a tank that's filling up with water, I know that I’m going to be fine. Waiting and change. These are two things that most of us don't really care for and they typically follow each other. Experiencing them in rapid succession feels like such an oxymoron. It feels like I've been waiting for this change for a long time, but now I'm fighting this change because it's full of so many unknowns. It's starting over in a new city. It's starting over with new people. Have you ever met someone who can never be happy with where they are in life? I'll admit it — often I'm that girl. I think about how I can get to where I want to be in five years instead of relishing where I'm at now. When I move somewhere new, I like to talk about how great the last place was. When I stand in my yard, I can't help but feel like my neighbor's just looks better. You feel me? Do you ever do it, too? There's a time to wait and there's a time to change. No matter which season I find myself in, it's up to me to make the choice between adapting to simply cope or adapting with a mindset to win. I can look for the bad or look for the good. There's always going to be a mixture of both, but which one am I going to focus on? Here's what I'm taking note of today: whether I'm waiting or changing, I'll be just fine. And so will you.